Unlike regular medical or even dental coding, DME billing requires an in-depth, specialized knowledge of all HCPCS Level II codes. You'll learn early on in your coding education and classes that there are three main types of medical billing codes: ICD-9, CPT, and HCPCS Level II codes. HCPCS codes are technically HCPCS Level II codes. They include both numbers and letters and are also 5 digits long. These codes represent all of the supplies or equipment that used in the patient's care. 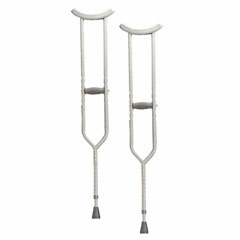 All Durable Medical Equipment is classified under HCPCS Level II. As such, these are the only codes you will use as a DME biller or coder. This isn't an exhaustive list. Other DME medical billing codes may include smaller sterile equipment, such as tweezers, urine catheterization bags, and small accessory parts. Durable medical equipment must be prescribed by a medical doctor, found medically necessary, and then approved by the patient's insurance company. Only then can the equipment be distributed to the patient. Because of this, the durable medical equipment billing and coding process is much more complicated than normal billing and coding. The patient must be seen by a doctor, who finds that some sort of durable medical equipment is medically necessary for the patient's care, or due to the patient's diagnosis. For example, a child presents to a pediatrics practice with croup (inflammation of the airways). The doctor examines the patient and determines that the patient will need a nebulizer treatment to administer a steroid inhalant. This will have to be administered every fours hours throughout the night or until the symptoms cease. In this case, the doctor will determine that the patient needs a nebulizer to take home with them, and will prescribe one to the patient. 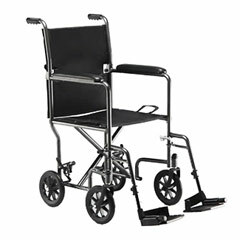 After the patient sees the doctor and is prescribed a piece of durable medical equipment, the patient will then go to a DME supplier to get the supplies. What this means for the coder is that you must locate the provider's prescription and get the patient's insurance and billing information. If necessary, due to the patient's insurance, you may also need to get a pre-authorization. This is where the insurance company has reviewed the patient's diagnosis and treatment, agrees with the findings, and approves the use of the DME supplies. Once all of the necessary paperwork has been done, then the DME supplier can locate and distribute the correct piece of equipment to the patient. 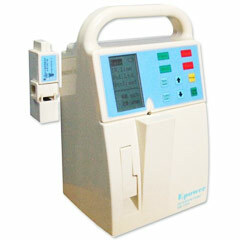 In the case of the nebulizer machine, the patient will give the DME supplier their nebulizer machine prescription. The billers at the DME supply company will do all of the necessary paperwork, and provide the patient with the correct machine. This process works similarly to a medicine prescription. The last step of the durable medical equipment billing and coding process is assigning the correct codes and billing the claim to the patient's insurance company. This includes identifying the correct HCPCS Level II codes by using the HCPCS manual. This may sound easy, but it's important to make sure that each and every accessory and piece of the equipment is coded for. For example, the DME supplier won't just need to give the patient the nebulizer machine. They'll also need to provide the patient with the air hose tubing and the correct type of face mask, depending on the patient's age. All three of these things must be coded individually. The DME biller must also send the claim with any necessary authorization paperwork, to make sure that the insurance company will pay for the claim. After this process is complete, DME coders and billers follow up on the claim just as if it was any other medical claim. Another important part of the durable medical equipment billing process is the complex nature of reimbursement. Because some of the equipment is rented rather than purchased, DME billers and coders must know exactly how to code claims and when to send them, in order to get the right reimbursement amounts. Example: the nebulizer machine used in the previous example is a small and relatively inexpensive piece of equipment. These are usually purchased strait out by the patient's insurance plan, which will pay for the entire machine, so the patient can keep it. 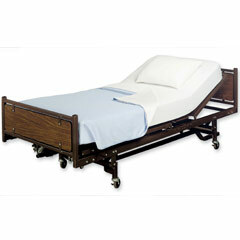 More expensive equipment such as hospital beds may be rented rather than purchased strait out. This means that the code will have to identify that the equipment was rented rather than purchased. Each day of the rental period will be listed separately on the claim. The insurance company will then pay a small amount for each of the days that the patient needed the hospital bed. Due to the complex nature of the durable medical equipment billing and coding process, many hospitals and clinics outsource to specialty DME billing companies. These companies are experienced and educated in the DME billing process, and make sure the correct and timely filing of DME claims. Because of DME's complex nature, and the fact that most providers and clinics would rather outsource this type of billing means that there may be lucrative opportunities in the DME coding and billing field. Related: DME medical billing software. It may be complicated, but don't exclude DME billing and coding when you are exploring options for your own medical billing home business.